Family members said Jonathon Feifer was supposed to meet up with friends at Montgomery Mall around 11:30 a.m. Sunday. However, Feifer never showed up. ROCKVILLE, Md. — UPDATE: Police have safely located Jonathon Feifer. Thanks for sharing. The Montgomery County Police Department needs your help locating a missing Rockville man. 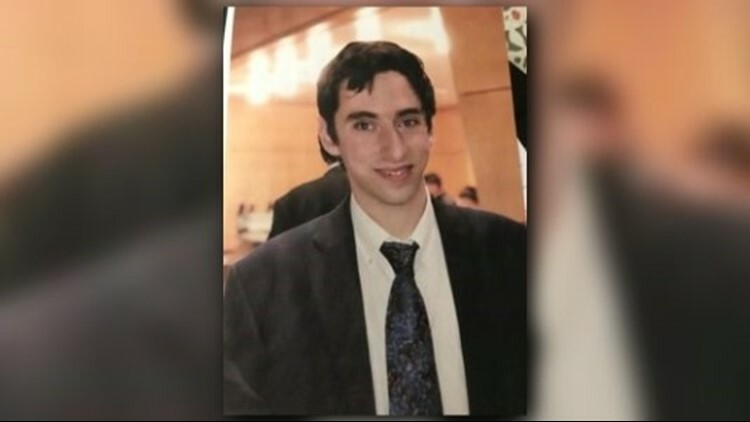 A parent told police they dropped off 22-year-old Jonathon Feifer in front of the Cheesecake Factory at Montgomery Mall around 11:30 a.m. Sunday. Feifer was supposed to meet up with his friends but never showed up, police said. Around 2:30 p.m. Jonathon's friends contacted his parents and said they had not seen him, prompting his parents to call police, officials said. Jonathon Feifer is described in a police report as a white male, with shaggy black hair and brown eyes. He is 5 feet 9 inches tall and weighs 140 pounds. He was last seen wearing a black ski jacket with a hood and blue jeans. Officials said Jonathon is a high-functioning person with autism and police and family are concerned for his welfare. Anyone with information about Jonathon Feifer's whereabouts should call police at 301-279-8000.